On 29 January PG submitted another application to the city planners ref 19/00436/X (links to full details on Council website). Note that this application matches a non-material amendment (ref 19/00409/NMA) to the main planning permission, submitted on 25 January and already consented on 15 February (click for our summary of this application). PG want to change the roof design of the listed Carriageworks building (Block C) to allow for an internal lift to reach the top floor. This will change the elevation of the building when seen from the rear by replacing two dormer windows with an enlarged mansard roof and one (non dormer?) window. As a result of the proposed change the roof design will not be uniform (see drawing comparison below). 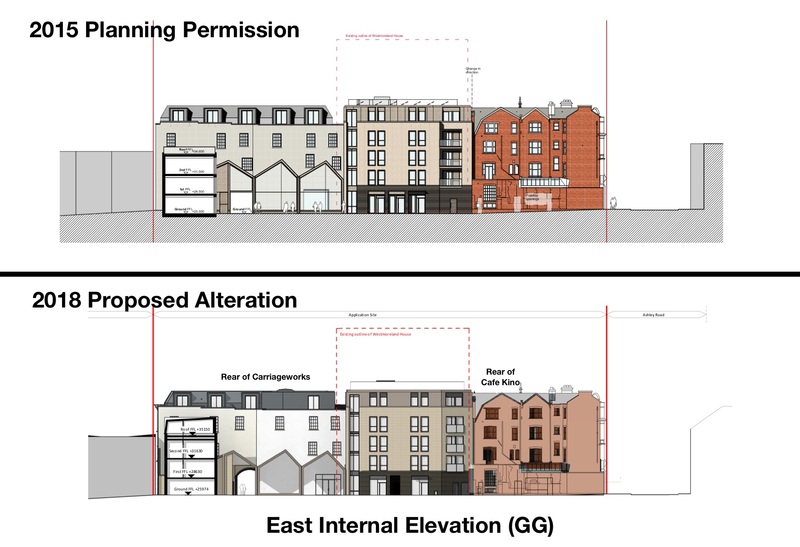 PG have not submitted any elevations to show what if any change will be visible from Stokes Croft or any cross-section of the revised roof. However, the covering letter states that the changes will only impact the rear elevation. In terms of formalities, the application seeks to vary the listed building consent they received in 2017 (ref 17/04561/X) which itself varied the original listed building consent granted in 2016 (ref 14/05982/LA). 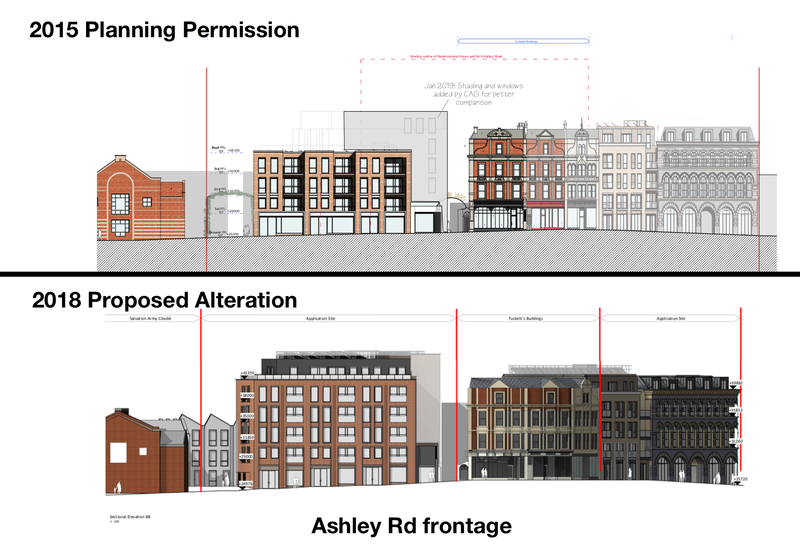 Any comments on the application have to be made to the planning department by 28 Feb.
PG Group have released proposed changes to the design of the Ashley Rd frontage. As yet PG have not provided any description or explanation of the suggested changes. Neither have they provided amended elevations or floor plans. This makes it hard, if not impossible, to really assess the new proposals. From the drawing provided, however, there are two options. Both options appear to be setting the fourth floor back very slightly and also giving it a grey colour. This is presumably intended to reduce the slablike appearance of the previous design (see below). Option A sees the grey surface treatment extend down one side of the building. Option B retains the brick frontage across the whole width of the building. PG have also responded to the comments received by CAG over the last few weeks via email, comments on the CAG Facebook page and comments on the Montpelier Facebook pages. The comments and PG responses are all in this PDF document. 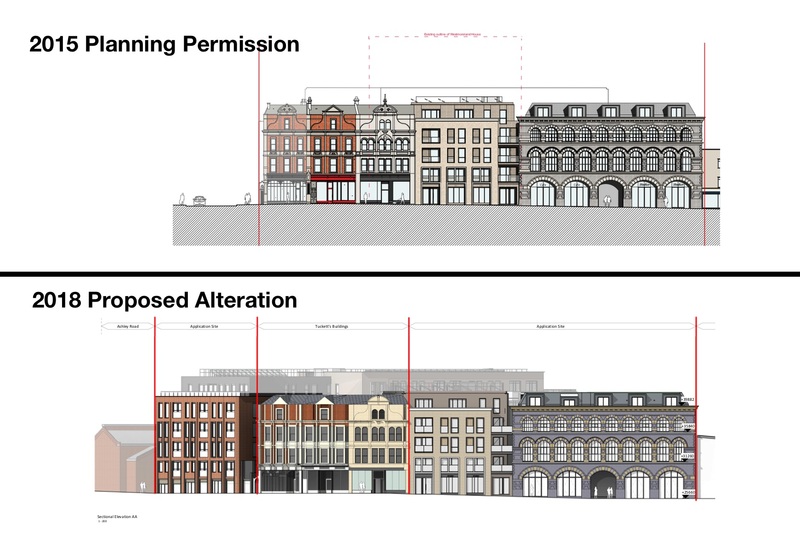 In their comments submitted in December, Montpelier Conservation Group said: “The revised plans increase the façade of the building by one storey and add a further storey set back by 2 metres or so. The parapet would be at the height of the ridge of Tucketts Buildings and the additional storey higher still. 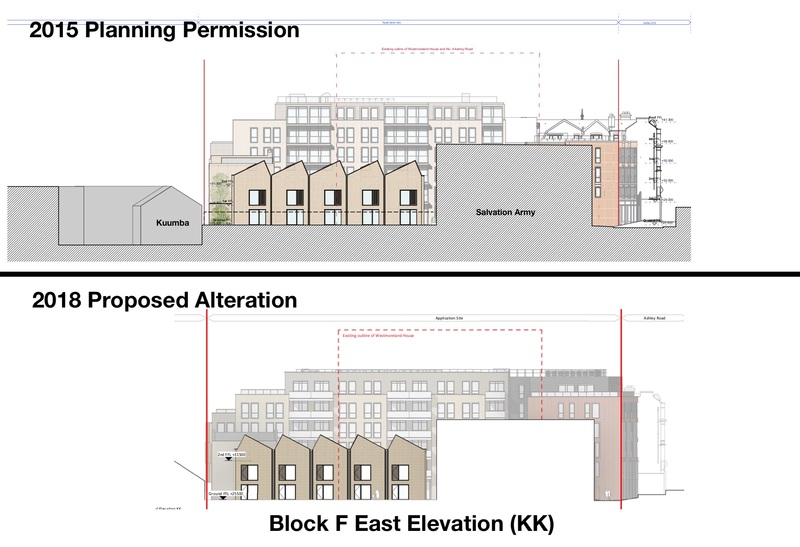 The Inspector’s Report on the 2007 refused application indicated that for this part of the site: “… providing the overall height of the proposed development on the Ashley Road frontage would not be higher than the ridge of Tucketts Buildings in the west and steps down towards the Salvation Army Citadel, I find no harm from the proposal to the conservation area” (paragraph 33)”. 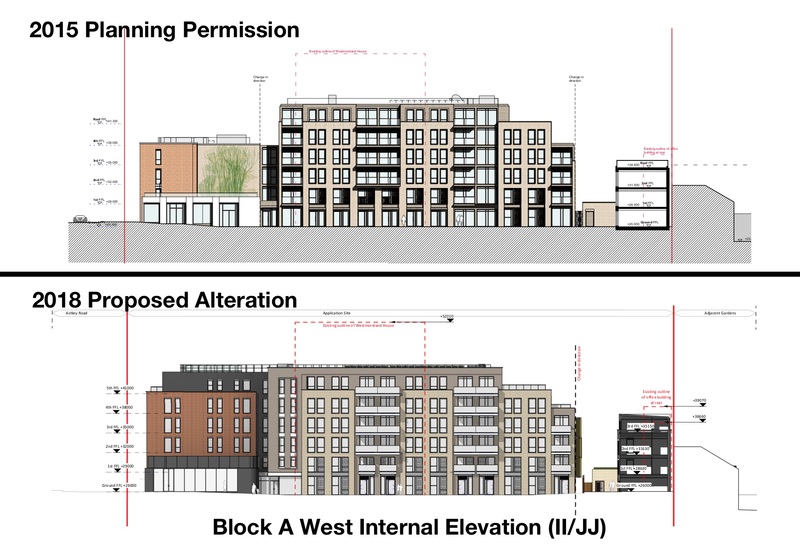 Someone else wrote “Having a six story flat elevation looming over the street rather than the lower building with recessed balconies that was proposed is a major change. It will be one of the tallest buildings in the area and a lot uglier than the previous proposal.” See below for the 2016 scheme that has planning permission. Whether a 20cm drop, four storeys up, constitutes a ‘step down’ is debatable. 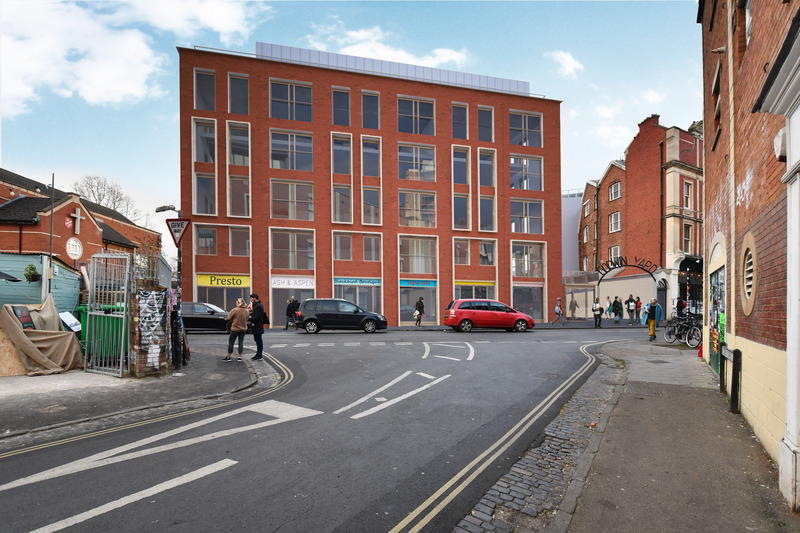 A local resident said “Over many years there has been slow encroachment into the residential area adjacent to this part of Stokes Croft and there is reason to believe that approval of these changes will make further encroachment more rather than less likely”. 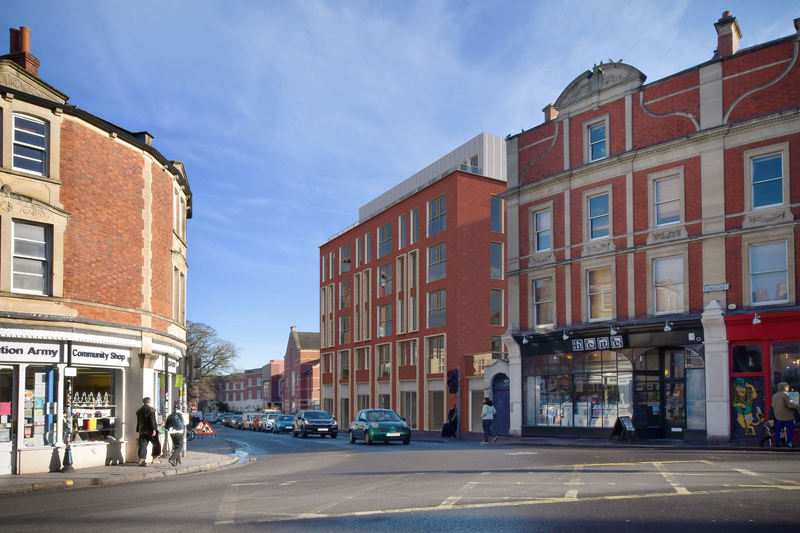 A local resident said “The historic parts of Stokes Croft architecture are a lot more appealing than the Salvation Army citadel. The 2018 plans seem to have a lot more low level brickwork an inviting platform for tasteless tagging & vandalism”. PG Group responded: “The Architects have followed the line of the Tucketts ground floor with the projecting reveals around the ground / first floor window bays, which will be fully glazed at ground floor, again aligning with the character of Tucketts albeit in a contemporary style”. Compared to Tuckets however, there is still a lot of street level brickwork. 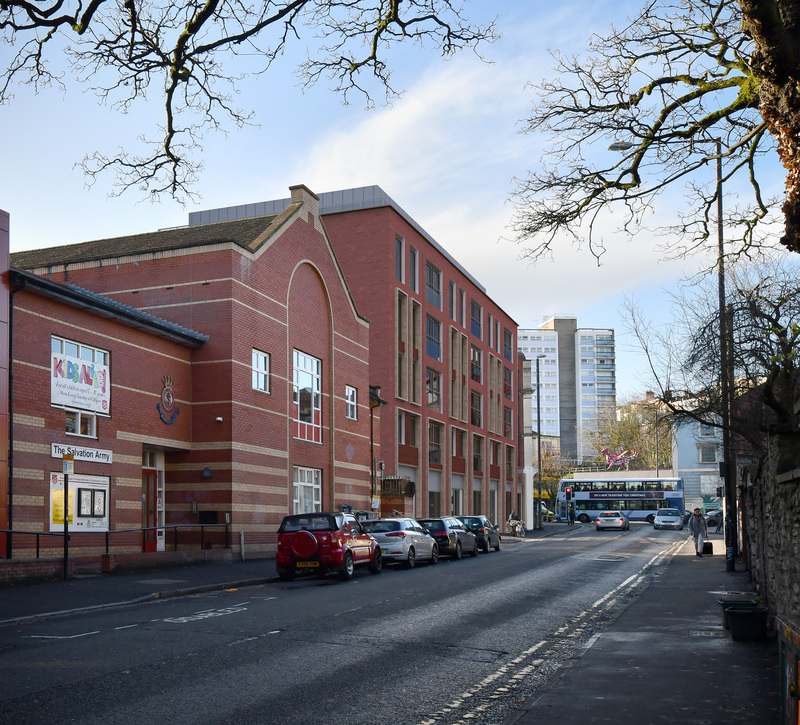 Some people questioned the need for more flats and the extra storeys facing Ashley Road. 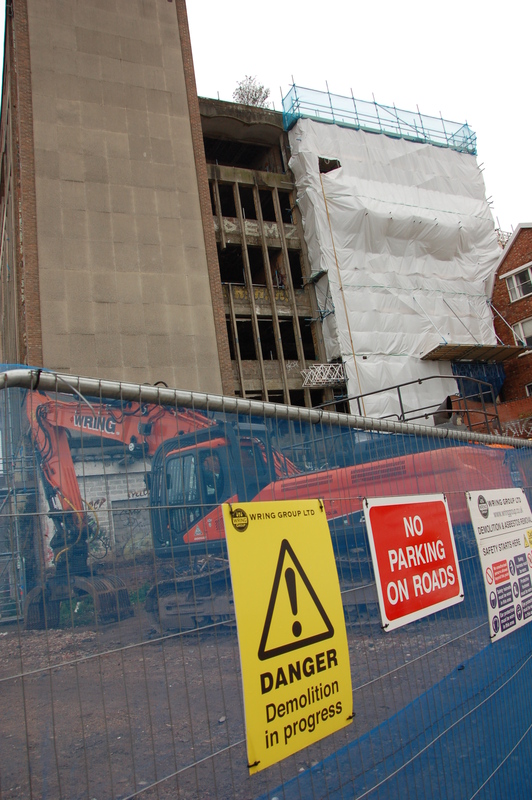 PG Group responded “As demolition has progressed (we have) been able to more accurately assess the costs of development, which exceed original expectations. To balance this, (we have) sought to increase the number of units on site in a way that has the least impact on the surrounding area”. 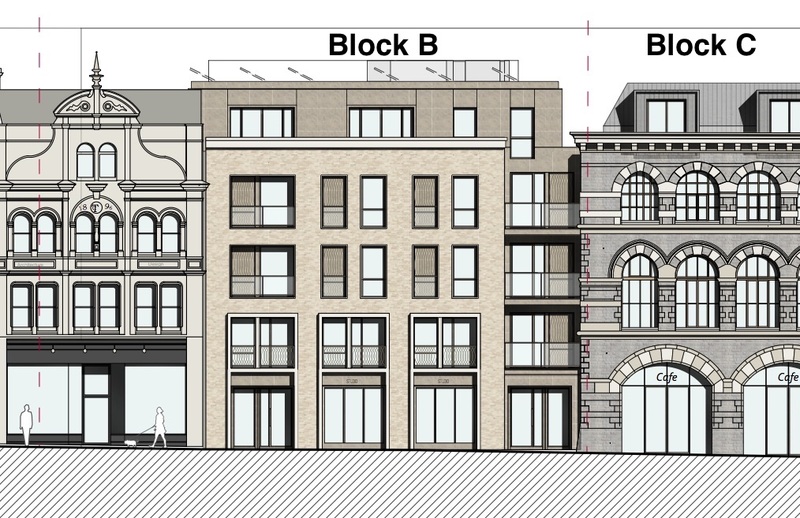 The revisions to Block A propose that the two stairwells in the existing scheme are replaced by one. Comments included concern about fire safety of only having one escape route and another concerned access for people with disabilities if one lift should be unavailable. PG state their architects have “reviewed the revised design with consulting Fire Engineers FRaMS and their advice was that the single stair solution proposed would be compliant with the building regulations when used with a mechanical smoke extract system and sprinklers”. PG don’t respond to the issue of disability acccess, although looking at earlier plans the we can see that the single stairwell has twin lifts. We have asked PG Group for more details and for their proposed process and timescales for submitting the proposed changes to the planners. We’ll update as soon as we hear back. In the meantime, write your views below. 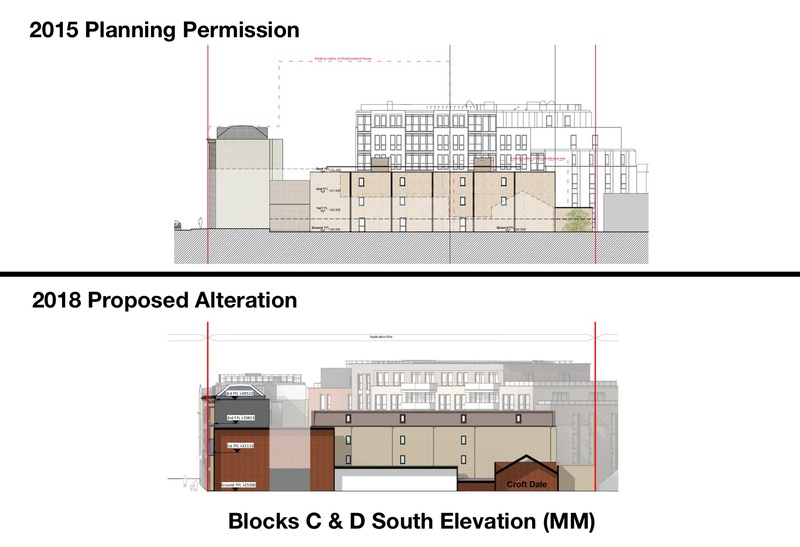 As reported on 5 December, PG Group are proposing a series of amendments to the 2016 Carriageworks planning permission. The proposals are still being finalised but we wanted to release what we know as of now. 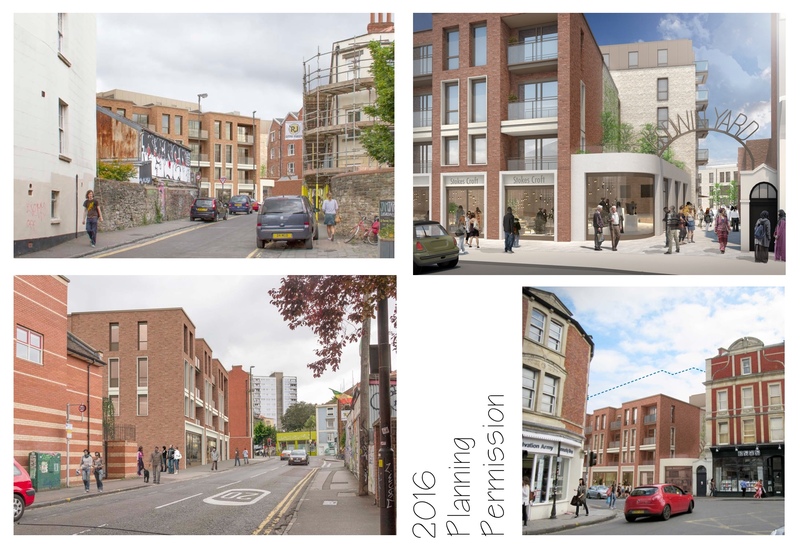 The most significant changes, which will require a new planning permission, relate to Block A on Ashley Road. If you have any comments please write them at the bottom of this page or email to ideas@carriageworks.org.uk. We will then collate all the responses and send them to PG Group. There will be a short deadline for comments, as yet to be confirmed, so please send as soon as possible. 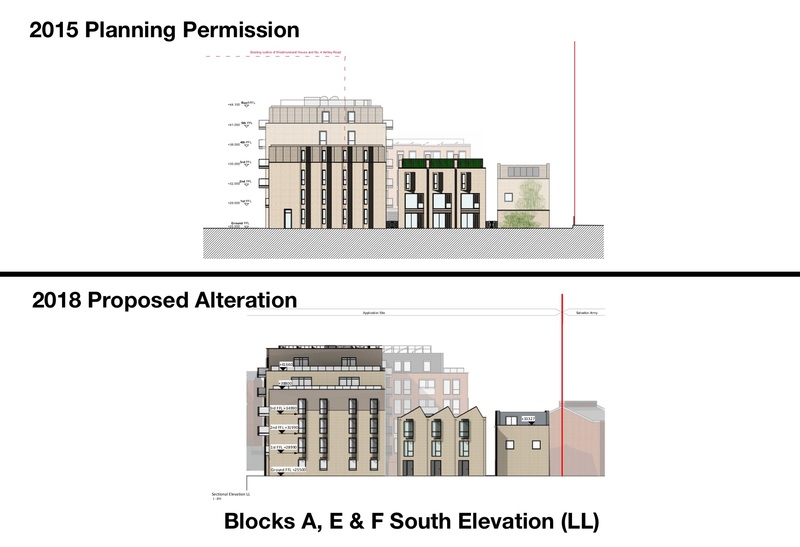 Changes to the window details of Block B (the site of Westmorland House) and to bring forward recessed balconies on the left hand side. This is a minor amendment so can be dealt with by the planning officer and will not need a planning application. 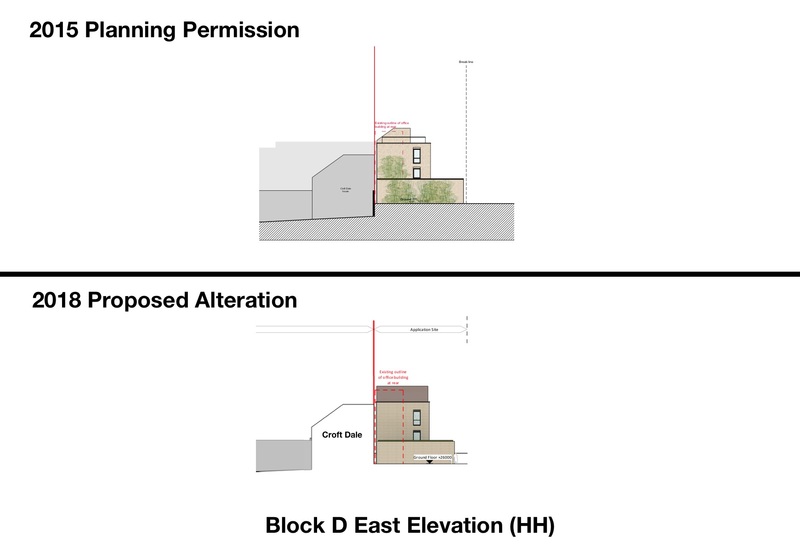 Click for drawing comparing existing permission with the new proposal. As these are significant changes a new planning application will have to be submitted. The footprint of the building (known as Block A) stays the same as does the setback from the pavement. 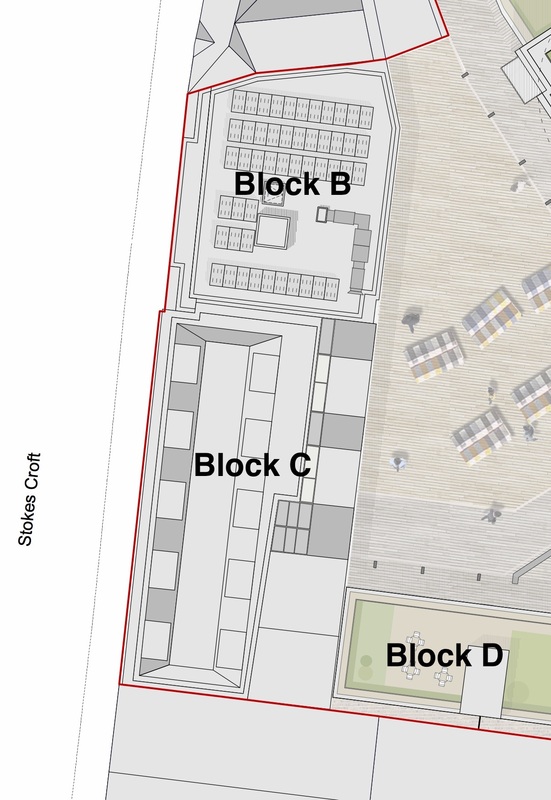 In the existing permission the part of Block A (click to open image showing Block locations) that is away from Ashley Road (previously referred to as A2) is six stories high while the part next to Ashley Rd (previously known as A1) is four stories. This is changing so that Block A1 is the same height as A2 i.e. six stories high, albeit with the top floor set back from the frontage (see our cross-section diagram below). PG have told us that the increase in floor space is essential to ensure that the scheme is viable. While the height of A1 increases the height of A2 (and Block A as a whole) stays the same. It also stays a lot lower than the old seven storey Westmorland House although this was set back from the Ashley Road frontage. There is no change to the footway entrance from Ashley Road. 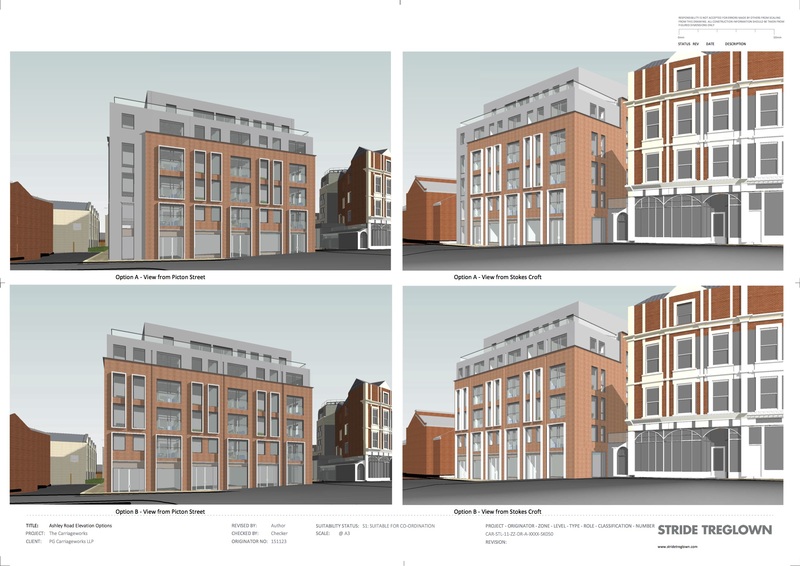 The facade is changed (see CGI drawings below). Note: Following a meeting between CAG and PG Group on 18 January PG agreed to revise the facade treatment. We expect to have the revisions by 28 January. There are also internal changes e.g. one internal stair and lift core instead of two. To retain fire safety a sprinkler system will be used throughout the common areas of the residential blocks. 1.5 residential units and some servicing space on the ground floor will be changed to commercial use. Section through Block A showing extension of top floors over Block A1. Diagram by CAG, not PG! 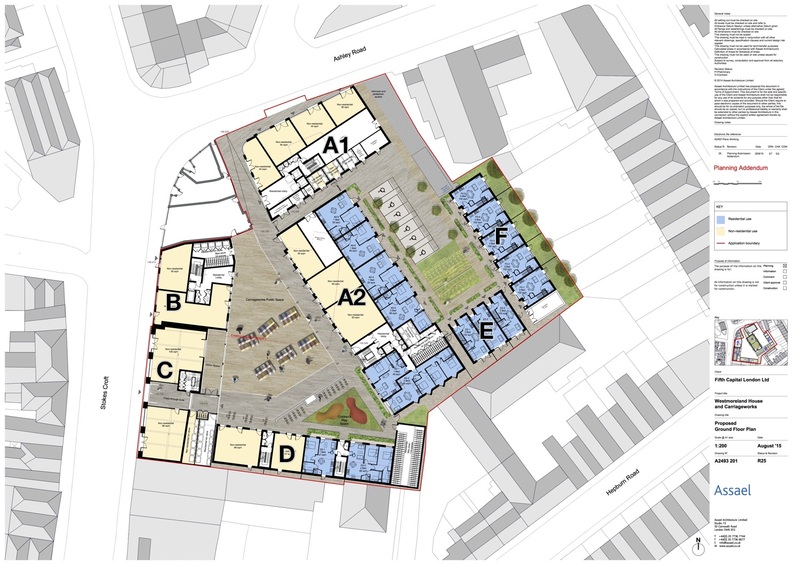 Previously there were proposals to change Block D (the affordable housing block) by converting the two ground floor residential units to retail, adding a new storey and using that to add four residential units (so a net gain of two units). The additional storey would have significantly impacted on residents in Hepburn Road and has now been dropped. We will provide updates as we receive them from PG Group. 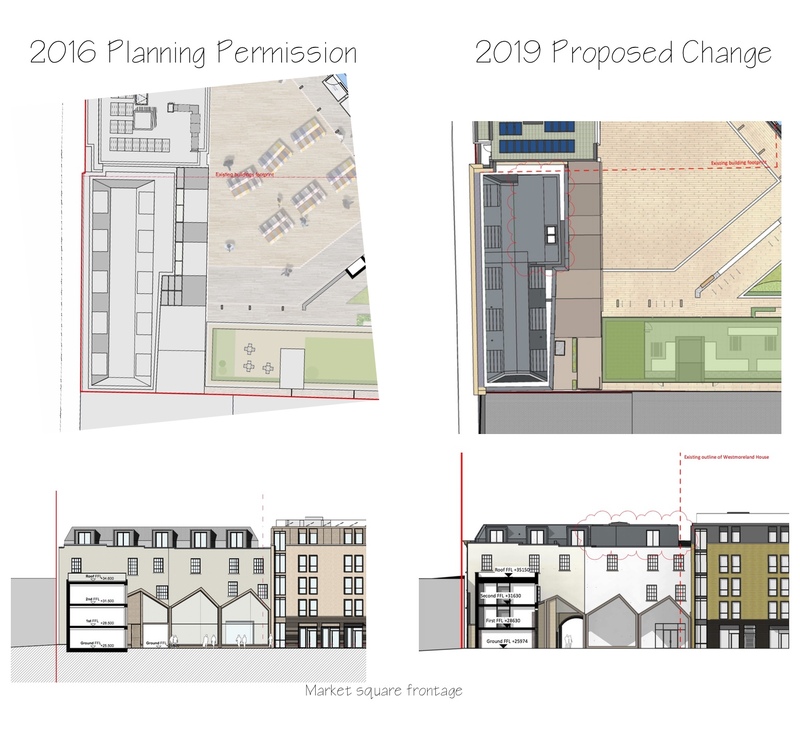 Set out below are the changes that PG Group, the developer, propose to make to the redevelopment of the Carriageworks and Westmorland House site. We have endeavoured to make these as accessible as possible by showing both the existing permission along with the proposed change. Click the images to open a larger version in a new window. Click this link for a plan showing the block names / numbers. At the bottom of the page are links to PDFs of the proposed changes only. Note that the proposed changes shown in the graphics below are dated from late November and that proposals may change in the coming weeks and months. 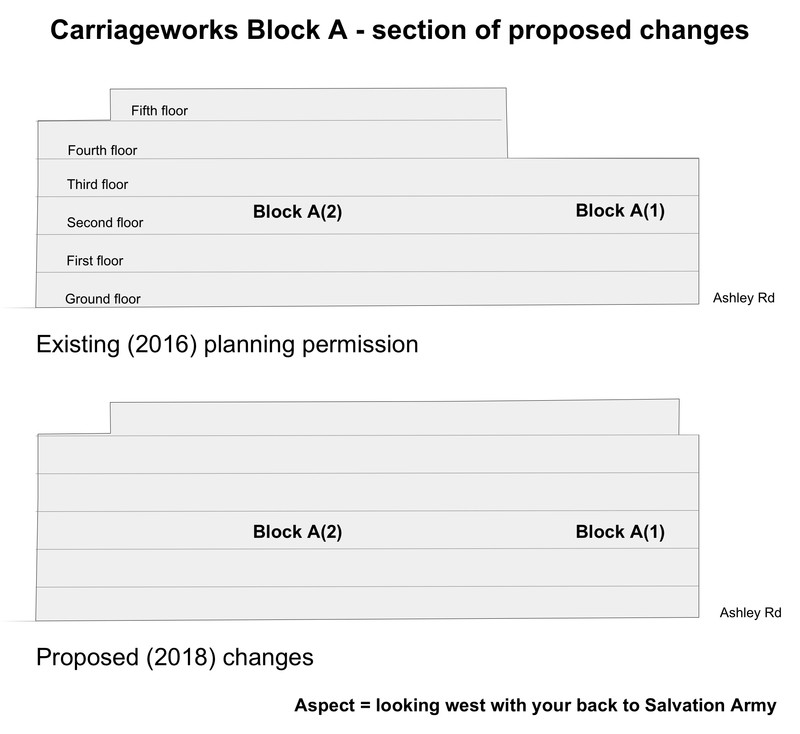 These are the changes that PG are proposing to the redevelopment of the Carriageworks.The changes will be discussed at the community meeting on Wed 28 November from 6pm to 8pm at the Salvation Army, Ashley Road. The textual descriptions below are PG’s, not CAG’s. We haven’t as yet seen any drawings of the proposed changes but for reference we have included extracts from the most recent drawings, submitted for planning permission in 2015, below.